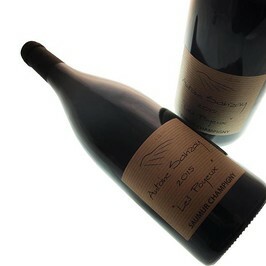 Fosse Sèche Arcane white wine is pure and elegant made with the grape chenin blanc, a great wine of Loire Valley! Château de Fosse Sèche Saumur Arcane white wine is an elegant wine offering white flowers, citrus fruits and melon aromas. This cuvee is very balanced. Château de Fosse Sèche Saumur Arcane is best served at 11-12°c. It is ideal with pan seared fish with sauce and exotic cuisine. Château de Fosse Sèche is a Medieval Castel. It is in Fosse Sèche, in 1905, that Paul Taveau, wine grower tries a new experience of wine making, what will give the Cabernet of Anjou. Today, Guillaume and Adrien Pire, twin brothers accompanied with their wives offer us identical wines from an exceptional soil. These wines of Fosse Sèche are made of Cabernet Franc and Cabernet Sauvignon for red wines and of Chenin and some Chardonnay for the white wines with these most known "cuvée"Eolithe and Arcane. Château de Fosse Sècheorganic farming is certified Ecocert and Biodyvin.